When you want an SUV or a crossover, it’s easy to default to options like the Equinox, but is the Chevy Equinox really the best SUV for the job? 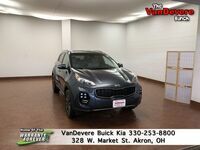 We don’t believe so, and we are here to prove it with our 2019 Kia Sportage vs 2019 Chevy Equinox comparison. 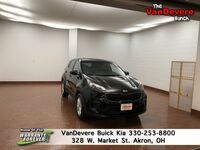 We will look at features, options, power, and even the warranty to help you determine which model offers the better value. 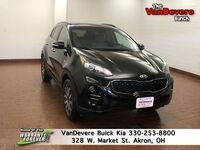 In terms of price, they are both very affordable, though the Sportage is routinely priced underneath comparable Equinox trim levels. Both models have room for five passengers, similar cargo room, and are close in terms of efficiency. Both even offer AWD. 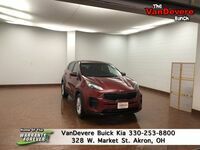 Find out which is better by reading below or see a Sportage inventory in Akron right now by clicking the link here. Which SUV is better: Sportage or Equinox? 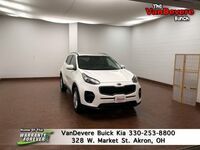 On the outside, you will notice that the Sportage gets most options sooner than the Equinox. 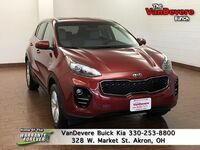 As you go up in trim level, the Sportage gets a panoramic sunroof, automatic headlights, and heated mirrors all at lower price points than the Equinox. 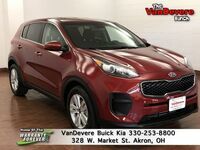 What’s more, the Sportage even gives you power-folding side mirrors at the higher trim levels. This feature protects your side mirrors and isn’t available on the 2019 Equinox. On the inside, you will find that it’s a similar situation. The Equinox routinely locks features away behind higher trim levels whereas the Sportage gives you them at a more affordable price. 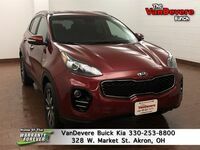 Dual-zone climate control, a premium audio system, a heated steering wheel, and ventilated seats all come at a better price in the Sportage than with the Equinox. Under the hood, you may expect the Equinox to have more standard power, but that just isn’t the case. 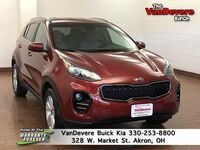 The standard 2.4-liter engine of the Sportage outpaces that standard 1.5-liter engine of the Equinox. That’s some food for thought. To top off this value conversation, the Equinox gives you a relatively small powertrain warranty and an even smaller bumper-to-bumper warranty at just 3 years or 36,000 miles. 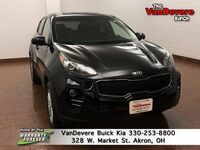 The Kia gives you twice as long and almost twice as many miles on its powertrain coverage and it gives you 5 years or 60,000 miles of bumper-to-bumper coverage.